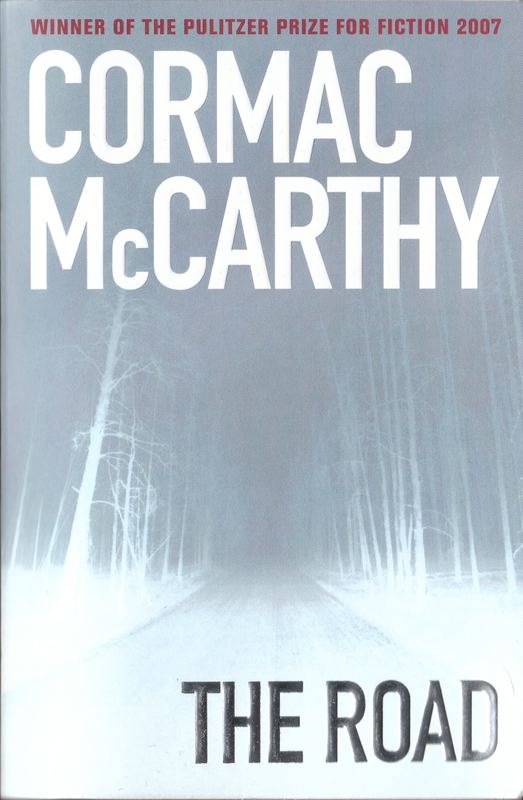 I recently re-read Cormac McCarthy's The Road. Oh boy, was I depressed. It didn't help that at the time I was campaigning to try and save a greenfield meadow from having a housing estate slapped on top. Green becomes grey. I think of what we lose. This book seemed a perfect fit (I'd read it before). But it was not. It was so depressing to read in that state of mind that I had to leave it for a couple of weeks, read something cheerier - probably something with zombie in - then come back to it. The Road (the book) is like the road itself. Unrelenting and bleak, but with a beauty too. The novel is a gripping story and an important warning. These place the book in the highest categories. Bear that in mind. I keep this book on my writing shelf as an example of how to achieve certain effects, and how to use language in a poetic way. I love it for that. However, there's one element I don't love, which breaks my immersion in the story. Punctuation! Cormac McCarthy sometimes used apostrophes and sometimes not, which jarred every time I came across it. Specifically, there were never apostrophes in the words can't or don't - instead he wrote "cant" and "wont", both of which then have different meanings once the apostrophes are removed. At first I thought it was a printing error; then that it was a form of future speak; then I realised it must be his style. The choice to ignore the way we write and instead create his own ambiguous rules was something that kept interrupting the flow of the story for me. Oh, and the ending is a blatant deus ex machina. Still, I love and admire the book. If I can do that in spite of a writing tic of the author's that irritates me, it is all the more praise for the novel's effect.